Dirt Connections delivers all of the free fill dirt that you need right to your residential or commercial job site through our Centreville, VA fill dirt delivery service. Regardless of the size of your project, our company is able to provide the fill dirt that you’ll need to get your project moving forward on time while saving money in the process. Our reliable delivery structure means you won’t have to worry about acquiring fill dirt for when and where you need it. 7 Schedule a Free Centreville, VA Fill Dirt Delivery! In order to be properly called “fill dirt”, the dirt’s organic composition must be inspected as it needs to be the layer of earth underneath topsoil with the least amount of organic material. This is because depending on it’s organic makeup, the dirt will settle or compact at different rates. Fill dirt has many uses such as building foundations and leveling areas for developing, constructing, remodeling, and landscaping projects. The specific amount of fill dirt a project needs depends on the unique size and shape of the area. 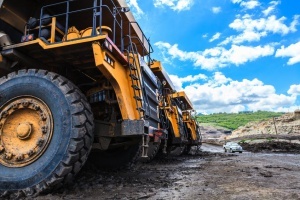 Dirt Connections can deliver any quantity of fill dirt needed for all types of projects in Centreville, VA.
We have a great reputation and are known for our reliable service for residential and commercial projects in Centreville, VA, and the greater D.C./Metro Area. Centreville is a beautiful suburb of Washington DC and is a great place for business and development. Any type of project that involves excavating is going to either need, or will produce fill dirt. Dirt Connections has a strong history of supporting residential and commercial construction projects in Centreville, VA. Our familiarity with the communities and transportation routes in the Centreville, VA area allows us to support individuals, landscapers, contractors, and companies. Additionally, Dirt Connections can deliver dirt to all of the local communities of Centre Ridge, Sully Station, Virginia Run, Chalet Woods, and Little Rocky Run, just to name a few. Dirt Connections has a great staff that provides the best tools for in order to help you complete your project. If you’re considering a new project, know that we will work with you from start ‘till finish to make sure the job gets what it needs to be done right. No matter what the size of your project is, we can deliver what you need. Depending on the job location and the quantity of fill dirt being ordered, there may be delivery and other fees. The good news is that if you order ten loads of dirt or more, your dirt and delivery is completely free. Before any order is finalized we require your site undergo a safety inspection by one of our authorized representatives. This is done free of charge and to ensure that there is a safe way to access the site. If you’re looking to get rid of dirt instead of bring in more dirt, you can still rely on us. If you’ve got a large amount of excess dirt sitting on your property and want it gone, let us know. We are fully equipped to remove that dirt quickly and put it to good use elsewhere. Our Centreville, VA fill dirt delivery services are reliable, punctual, convenient, and highly affordable because of our longstanding relationship and familiarity with the local area. After we have finished our site safety inspection, we will sure smooth delivery of all the fill dirt you need, when and where you need it. If you’ll need to remove excess dirt from your job site, we will quickly come pick it up and save you the hassle of doing it yourself. With assistance from Dirt Connections, you will have less to worry about so you can focus on completing the other parts of your project. Before you begin your project, it’s a good idea to do some calculations to determine how much dirt you should acquire. Figuring this out before you start will save you time and money down the road. The two most important factors in determining the volume is the shape and depth of the project. If the project that you’re working on is a square or rectangle, the calculation is fairly simple. Simply multiply the height by the width and depth. The result that you get is the total volume of the area in cubic inches. We think that doing the calculation in inches is best, because it’s so easily converted into cubic yards, which is the unit that fill dirt is sold in. The calculation for a round project is a little more tricky, but still doesn’t take very long. First, determine the radius of the project, which is half of the distance across the entire circle. Next, multiply this radius by pi (3.142) and again by the depth of the project. What you end up with is the volume of the round area in cubic inches. Schedule a Free Centreville, VA Fill Dirt Delivery! 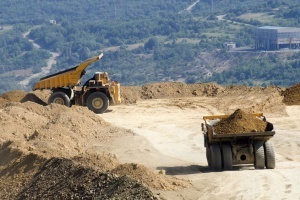 Dirt Connections’ affordable, convenient, and professional dirt delivery service can be counted on for all of your project’s fill dirt needs on schedule. If you’re interested in learning more about what we can do for your project, contact Dirt Connections today by calling us or by sending us a message online today.